An irrigation system is a great asset to have at your home. It helps keep the grass lush and the yard looking picturesque. However, from time to time there will be some maintenance work to ensure that your system is working properly. Most of the time, these repairs are easy and require minimal effort. Here are some common things to pay attention to. Just like a gutter, the sprinkler head can get blocked by leaves, grass, and other debris in the air. The blockage can interfere with how the sprinkler operates by preventing it from reaching the entire lawn. The easiest fix to this is to check from time to time to make sure there is nothing building up in or around the sprinkler head. If there is, simply remove the obstruction. These are a little bit trickier than a sprinkler head clogs. If it is cracked or broken, you are better off having it replaced. This eliminates any chance of the pipe breaking again if it is resealed and will last longer. Fixing it the right way the first time around significantly decreases chances of more serious problems down the line. While this can be a DIY project, hiring a professional will ensure proper repair. This usually occurs because of something being stuck in the pipes, such as a twig or leaf. To fix this, you will need to disassemble the valve and clean it. When you take the valve apart, it is important to take note of how parts fit together so that you can reassemble it when you are done. Once all the pieces are completely separated, carefully clean each piece individually, making sure it isn’t cracked or broken. If it is, replace it. Once all the pieces are cleaned and rinsed, reassemble the pieces for a fixed valve. 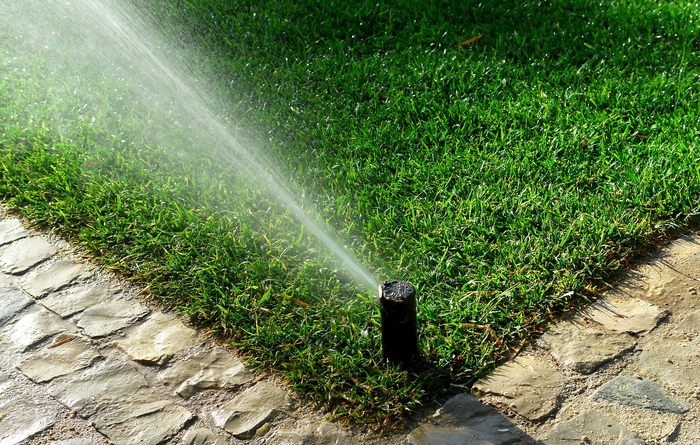 Irrigation systems add a whole new level of excellence when it comes to lawn care. Sometimes, they will need repairs and to be properly maintained. This could mean more work for you, but it also leads to the greenest, lushest lawn in the neighborhood. No Replies to "Common Irrigation Repairs and Maintenance"